A polling place in Ventura County, California. Earlier this year, we wrote a post about voter suppression. Our conclusion at the time was that it’s difficult to say how much it played a role in the 2016 election. There’s a lot of evidence that voter suppression tactics such as restrictive voting laws and voter ID laws were at play in the, making it difficult, if not impossible, for voters of color to participate in the electoral process. A new survey from The Atlantic and the Public Religion Research Institute shows that black and Hispanic voters more likely to face barriers when they attempt to vote. The study also revealed that voters of color fear that they might lose their basic Constitutional right to vote if such laws are passed. Black voters, particularly in the South, often faced major barriers to voting. When attempting to vote, they were often told that they had gotten the date, time, or polling place wrong. They may have been told they needed to pay a “poll tax” and were often required to take “literacy tests” such as being forced to “recite the entire Constitution or explain the most complex provisions of state laws.” White voters rarely, if ever, were required to do so. 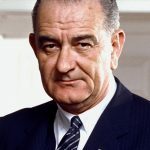 After long debate, the Voting Rights Act passed the House and Senate and was signed into law by President Lyndon B. Johnson on August 6, 1965. The law forbade the use of literacy tests, provided for federal oversight of voter registration, and authorized the U.S. Attorney General to investigate the use of poll taxes in state and local elections. Poll taxes in federal elections were banned by the 24th Amendment, and poll taxes in state and local elections were later banned by the Supreme Court. How? Let’s dig into the statistics a little bit. Nine percent of black survey respondents and 9 percent of Hispanic respondents said that they or someone in their household were told they didn’t have the proper ID to vote. Only 3 percent of white voters reported this issue. Ten percent of black voters and 11 percent of Hispanic voters were told incorrectly that they weren’t listed on the voter rolls. In comparison, only 5 percent of white voters were told they were no longer registered. Fifteen percent of black respondents and 14 percent of Hispanic respondents said they couldn’t find polling places on Election Day versus 5 percent of white voters. Let’s explain why these issues are a problem. First of all, Newkirk points out, “voter-ID requirements and automatic voter purges do, indeed, have strong racial and ethnic biases.” People of color have significantly more difficulty meeting new requirements for ID, for example. And it’s not just The Atlantic saying this: the Fourth Circuit Court of Appeals ruled in 2016 that North Carolina’s voter ID law “target[ed] African Americans with almost surgical precision” and overturned the law. In Wisconsin, the number of Democrats who didn’t vote because they lacked proper identification exceeded Donald Trump’s margin of victory in that state. Not only that, the biggest decreases in voter turnout were in black neighborhoods. The impact of some voter ID-requirement laws unquestionably impacts minorities disproportionately over white Americans, creating a subtle but definite bias in the system. The study also showed that frequent changes to polling place locations do more damage to minority voters than white voters. Polling places should be communicated clearly and should be accessible in all neighborhoods. In addition, black and Hispanic individuals who responded to the survey were twice as likely as white people to be unable to get time off from work so they could vote. Whether or not voter ID laws and other similar statutes are intended to discriminate against voters of color, the fact is that they have the effect of being discriminatory. There’s also no evidence that these laws did anything to prevent voter fraud. With all this going on, it’s no surprise that 68 percent of the poll’s black respondents believe disenfranchisement is a major problem and that disenfranchisement is the biggest electoral problem in the U.S.
Further, 86 percent of black respondents and 74 percent of Hispanic respondents feel like the country is headed in the wrong direction. 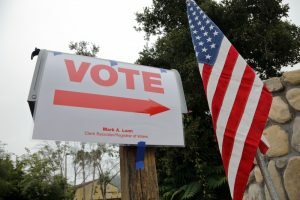 Due to the combination of voter ID laws and other restrictions, anti-Hispanic sentiment, and difficulty of getting proper ID and even finding the right polling place, race-based voter suppression is a problem… and it will be a problem as long as states continue instituting laws without considering their full impact and gerrymandering districts.